If you have ever wondered why your website looks different in different browsers, you don’t have to worry that you’re going crazy. There is a legitimate reason why your website may look off in different browsers, like Internet Explorer. Read on to learn why this happens. Why Does my Website Look Different in internet explorer? When a browser reads the code behind your website, it translates the information in the default settings. For instance, Safari and Chrome have different default fonts, which means the font on your site changes when viewed in these browsers. For example, Safari defaults to the Helvetica family and Microsoft's Internet Explorer defaults to the Arial font family. Default issues are likely the most common reason for variance between browsers. The look and feel of a site may change, but functionality and the user experience remain intact. Web code is constantly evolving and browsers may lag behind when making any necessary changes. An older version of a browser may not support the latest standards. So, a modern website may speak a language that is not fully understood by the browser. For example, Microsoft’s Internet Explorer (IE) 11 is the last version Microsoft will be maintaining. In fact, as of January 12th, 2016 Microsoft stopped providing security updates for any older versions of IE. Since they are no longer maintaining this code, the way the HTML and CSS render can potentially be compromised. Other factors that play a role are the operating system and display resolution you view the site on. PCs render buttons in a rectangle versus the oval displayed on a Mac. Creating a website in one screen resolution effects whether it fits on screens set to lower resolutions. At Virteom, we run through multiple audits of your website to check responsiveness, and cross browser-rendering of your website; but from the stats listed above it’s clear a majority of internet users are either using Chrome or Safari. If IE ranks low on percentage of users, why are we even talking about it? Because it’s the default browser on PC’s. It’s important to know that you do not need to use the default browser (the one automatically downloaded) on your computer. We encourage internet users to join the majority on Google Chrome; it requires one free and easy download. The rule of thumb in web development is to create your site on the browser you use. Viewing it on other browsers allows you to change issues of functionality within your control. But, remember, some differences are due to the hardware and settings on a visitor’s computer. Viewing your site on different browsers may give you the impression that it is broken or poorly designed. But, it is merely the nature of web development. It is okay that your website looks different when it displays on different web browsers as long as the page loads well, looks good and functions properly. Different fonts should not be a deal breaker for you! And C'MON, do you really need to use Internet Explorer when there are much better browsers out there? 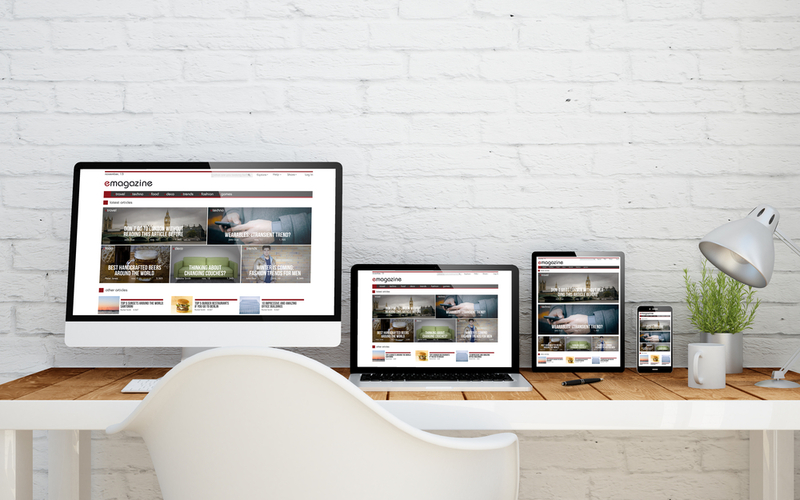 If you need help putting your website together, contact Virteom today. We can help you resolve issues and get your site operating well across browsers.